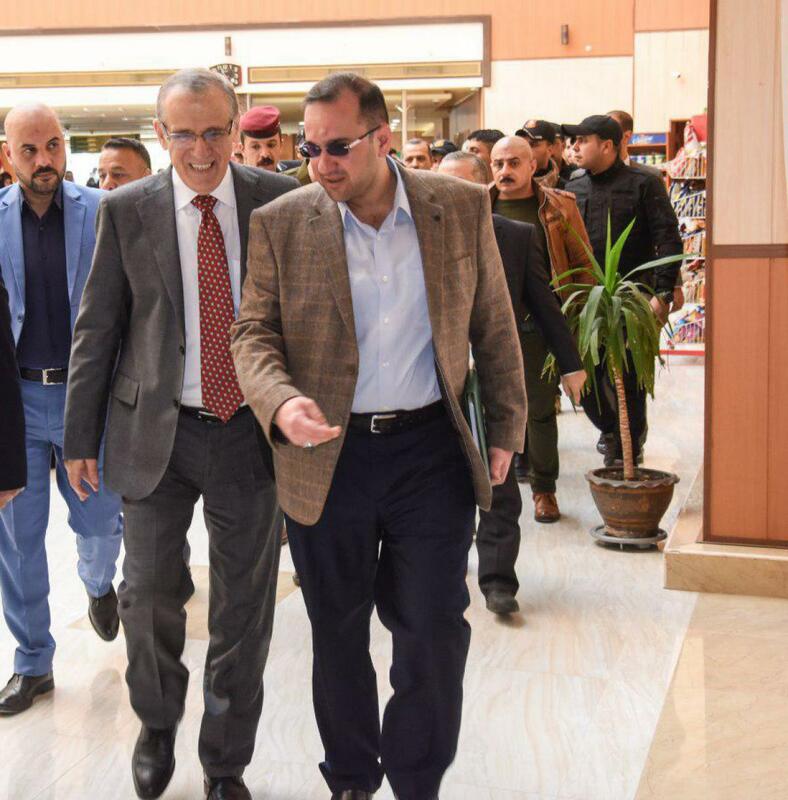 Minister of Health and Environment: Al-Kafeel Super Specialty Hospital is a large medical facility and a quantum leap of the health sector in Iraq. 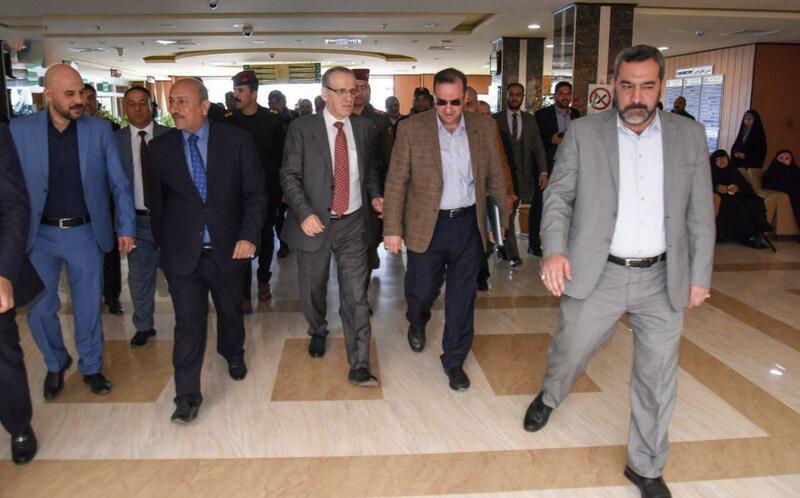 The Minister of Health and the Environment of Iraq, Dr. Alaa Abdul-Saheb Alwan, said: "The Al-Kafeel Super Specialty Hospital is a great medical facility and a quantum leap of the health sector in Iraq. It has worked to introduce the best techniques and medical devices used by the high-efficiency staff, enabling it to perform surgical operations in various specialties within Iraq, sparing the Iraqi citizen from the burdens and cot of the travel abroad. " 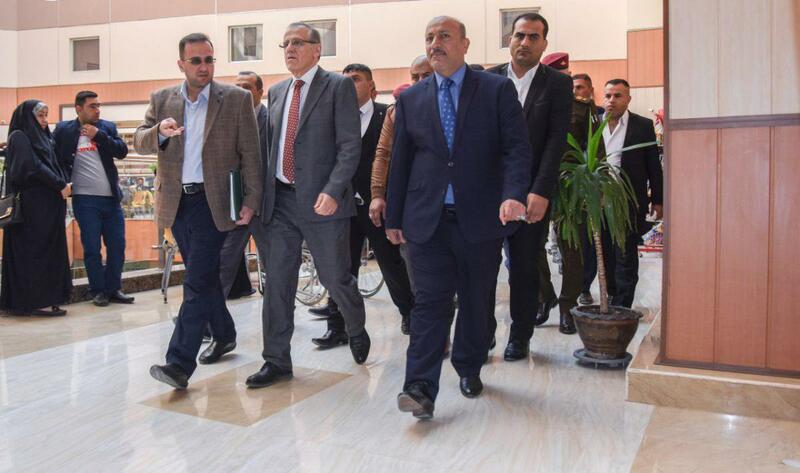 This was the statement of the Minister during the visit he conducted with the delegation accompanying him to the al-Kafeel Super Specialty Hospital to see the most important medical and therapeutic services provided to the patients, stating: "Our visit to the al-Kafeel hospital was for the purpose of access to the outstanding medical services provided by the hospital to citizens, by bringing Foreign and Arab medical cadres with high competencies to conduct various operations. " The Director of the Hospital; Dr. Mohammed Aziz, who accompanied the minister in this visit to give him a simple explanation of the most important techniques and services provided by the hospital, told us: "This visit of the Minister of Health and Environment is conducted within a series of supportive visits to the hospital, which is providing the best services to its patients, thanks to its possession of the latest advanced devices in addition to the introduction of medical staff with good experience. 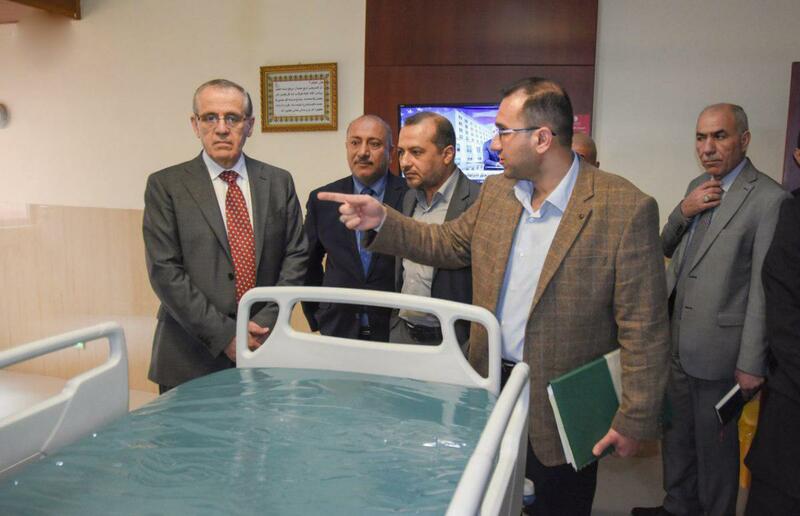 The Minister expressed his admiration for the great services provided by the hospital as well as its enormous potential, expressing the readiness of the Ministry to provide all that is needed by the hospital."